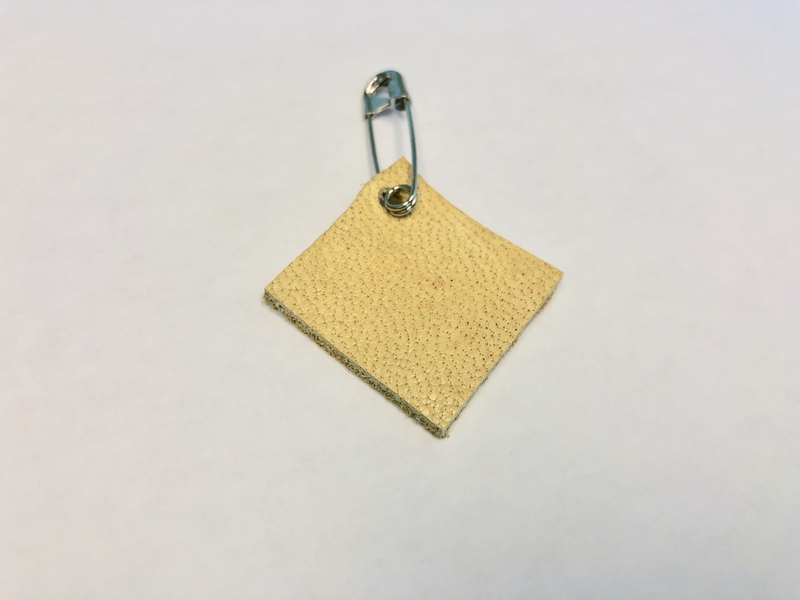 You may have seen them around the District, students and staff wearing a pin with a small, tan leather square, no bigger than a quarter, and wondered what they are for? On Tuesday, students at Langley Fine Arts School wore these pins and marched from their school to Fort Langley to raise awareness of violence against women and children. 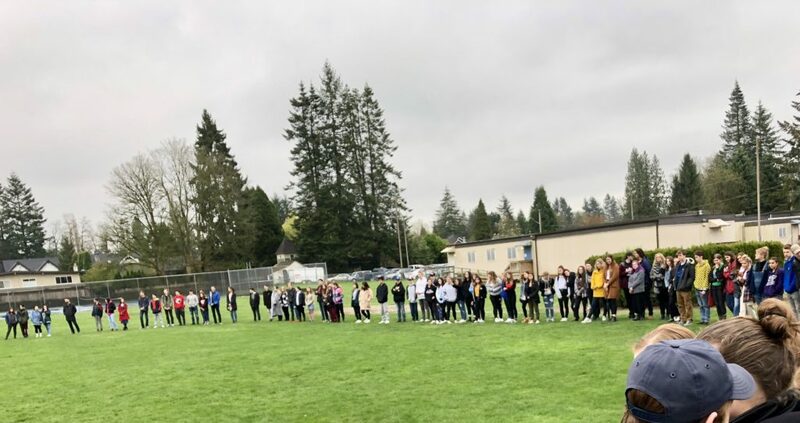 It’s all part of the Moose Hide Campaign, which is a grassroots movement of Indigenous and non-Indigenous men and boys who are standing up against violence towards women and children. The movement which started in 2011 continues to grow and gain support from a wider community. 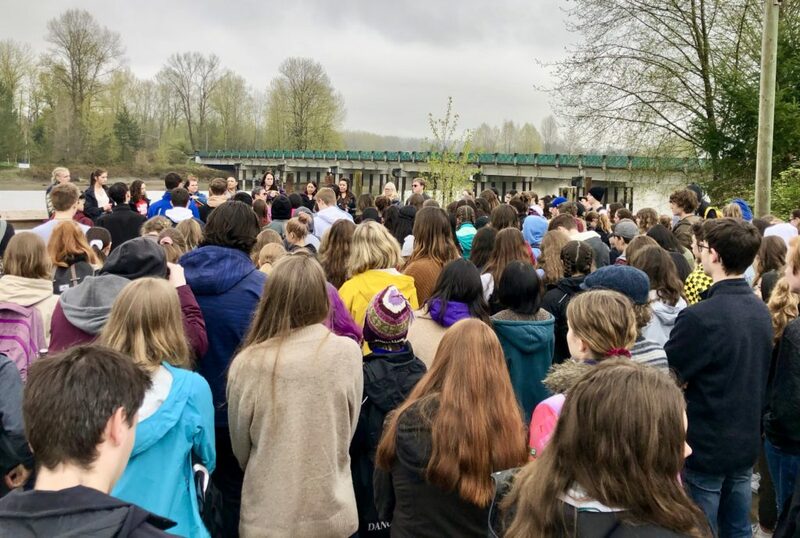 The campaign and the walk that accompanies it is also an opportunity for people to experience Indigenous cultures and a way to support reconciliation. Organizers believe the power of unity will help to spark a conversation about this difficult subject. So, the next time you see someone wearing that small moose hide square, feel free to start up a conversation and join the movement. To learn more about the campaign go here.